While the level of friction may vary, one thing is clear: The strained relationship between sales and marketing is the kiss of death in a consumer-driven economy. The companies that will win in 2018 and beyond work side-by-side with the shared goal of creating a customer experience that exceeds expectations. In such organizations, blame, accusations, and apathy created by lack of a common goal are history. Here are five ways to help you develop a more cohesive sales and marketing team. 1. Create two distinct roles to support two distinct activities. I find it odd that any builder selling more than 50 homes per year tries to combine sales and marketing into one role. There’s no such thing as a sales and marketing director. Each role requires accessing completely different sides of the brain. Maybe you could do both back in the good old days, when all you had to do was approve some artwork and place an ad on a billboard or in a magazine or newspaper. Not any more. Marketing and advertising have grown increasingly complex, and the rules change just about every other day. The hierarchy or org chart doesn’t matter as much as the actual time spent executing. 2. Have sales step into marketing’s role and vice versa. In other words, cross-train. Break down silos. Does marketing understand the role of the sales rep? Does a sales rep see everything the marketing team is doing? Without exposure to both sides of the customer experience, people can become myopic. The focus will be too narrow and you won’t see the whole picture. Have on-site sales staff shadow the online sales position. Have marketing staff sit at a model home on the weekend and try to get prospects to fill out a registration card. Amazing things happen when marketing spends a few hours calling all the leads they’ve generated. And salespeople develop a newfound respect for marketing when they see everything they are doing that doesn’t just involve their community. 3. Create support and approval processes. How often is marketing operating in chaos? Making flyers on the spot for events happening the next day (flyers that will likely end up in the trash), or throwing together emails that needed to go out yesterday. Or, similarly with sales, rolling out a brand new tool that nobody even wants. Avoid spontaneous work by setting up approval processes. If sales has too much inventory and needs to get an email out quickly, they need to give marketing the information and enough turnaround time to produce great work. Marketing may want to plug in a chat function on the website but doesn’t realize how much time can be spent chatting about warranty issues. It’s not that we don’t want to provide support, it’s just that both sides may think we have magical powers that we don’t. One example: Have all sales agent requests flow through the sales manager to vet them first. Does sales know what email newsletters are being sent? Does marketing know which communities are seeing a decrease in traffic? Everyone needs to communicate with one another. And I’m not talking about meetings—the bane of everyone’s existence. I’m talking about crafting and sending a succinct email to the team or setting up a quick video conference to show off a new website feature. One of my favorite new tools is called Loom—a free way to record your computer screen and share via email. Instead of jumping on the phone or meeting in person, you can increase communication via bite-size real-life demos of a program, marketing campaign, or anything else you can see on a screen. I feel like our traffic was off last month. I feel like those billboards are a moneymaker. I feel like it’s a bit slow. Everyone with all the feels. Feelings aren’t what’s being expressed here: These are thoughts, ideas, impressions, or beliefs. Remove emotion from important issues and focus on the data and facts. Sometimes feelings match up with reality, and sometimes they’re just a response to last weekend. Smart sales and marketing teams focus on data and are disciplined about comparing it year over year and month over month to spot pattern changes and diagnose problems. If they see success, they’ll look for all ways possible to develop it into a repeatable process. Sales don’t happen without consumer awareness. Marketing budgets don’t exist without closings. Marketing only exists when there is something to sell, and companies don’t survive until people can convert all that interest into real revenue. 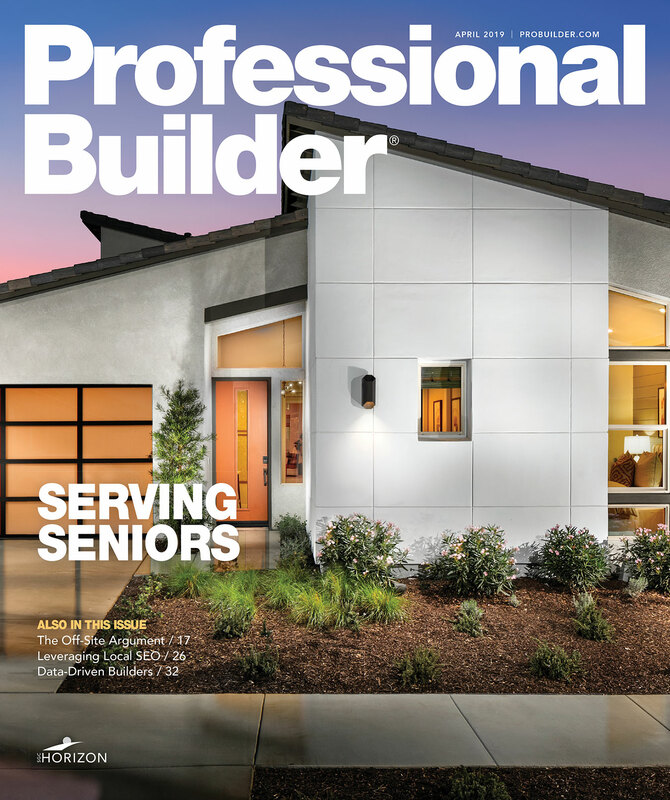 Finally, a parting thought from one of the most successful builders I’ve ever worked with: The owner said, “We aren’t a home builder; we’re a sales and marketing organization. Our product just happens to be homes.” There are probably many home builders who feel the same. But it isn’t actually true unless sales and marketing work as a collaborative team.